Sometimes you have a meal that just makes you feel nourished – with fresh, whole ingredients rich in energy. This meal was that for me and just what I needed the day I made it. All the flavors come together really well (and quickly!). 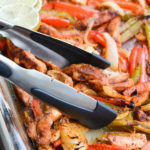 Combine olive oil, garlic, onion powder, pepper, red pepper flake, paprika, and juice of two limes into a plastic bag. 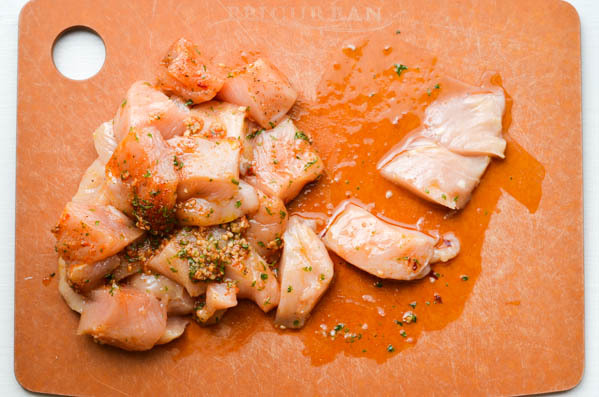 Add chicken breasts and marinade for at least 2 hours. Prepare rice according to package instructions. 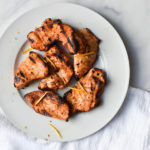 Remove chicken from bag and cook in a skillet (or on the grill!) until no pink remains. 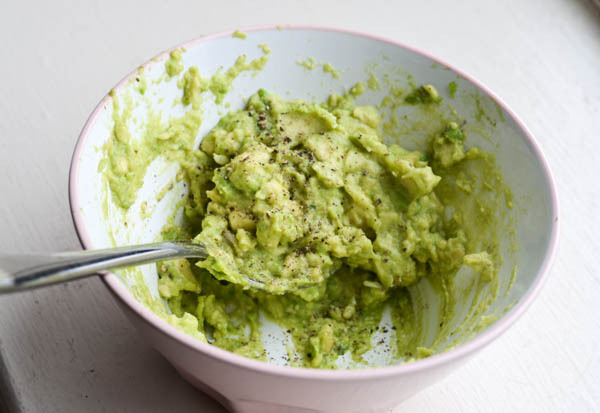 Meanwhile, mash avocados and stir in salt & pepper and juice of remaining lime. Assemble bowls with rice, chicken, avocado, tomatoes, walnuts, and blue cheese. Combine olive oil, garlic, onion powder, pepper, red pepper flake, paprika, and juice of two limes into a plastic bag. Add chicken breasts and marinade for at least 2 hours. 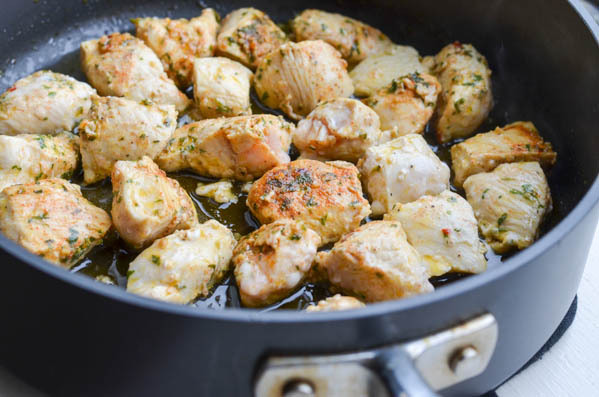 Remove chicken from bag and cook in a skillet (or on the grill!) until no pink remains. Meanwhile, mash avocados and stir in salt & pepper and juice of remaining lime. 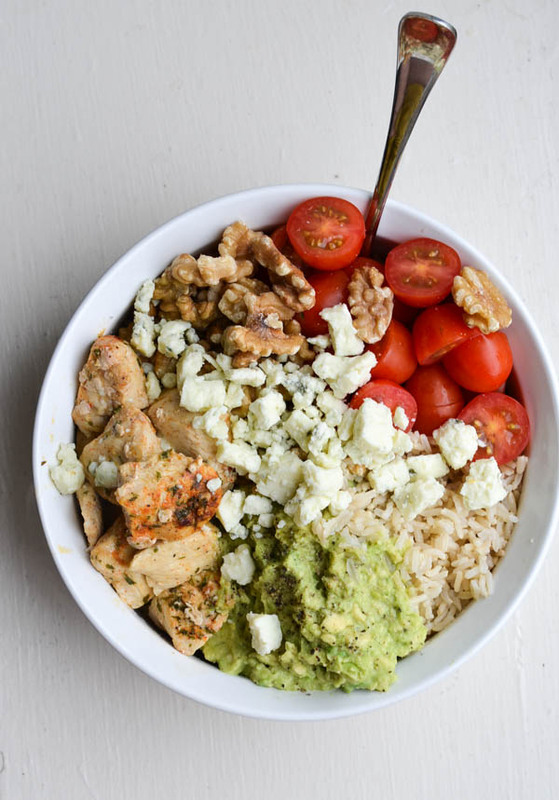 Assemble bowls with rice, chicken, avocado, tomatoes, walnuts, and blue cheese. Adapted from Half Baked Harvest. Just made this recently. Tasted very fresh and delicious. I subbed goat cheese for the blue cheese. I skipped the parsley and added cilantro to the avocado mixture. This recipe will be a keeper. 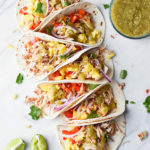 New to your blog and really like it! 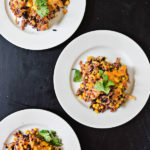 This looks fantastic and has great ingredients and flavors! Great idea to turn it into a rice bowl instead of making it into something predictable like tacos.